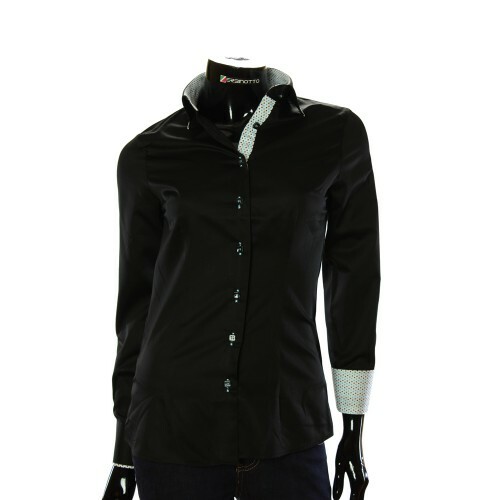 Women's black shirt is plain with a slanting collar and cufflinks. 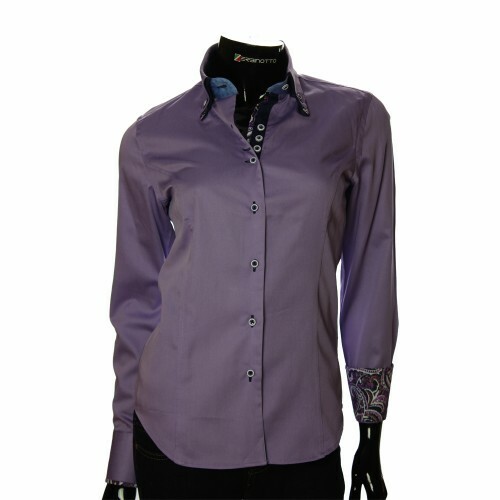 Brand Zerbinotto is a stylish and elegant women's shirt with cufflinks collection Izabella. 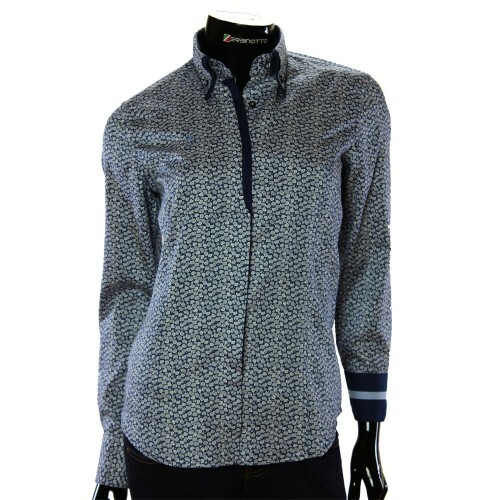 Women's Shirt in Slim Fit. 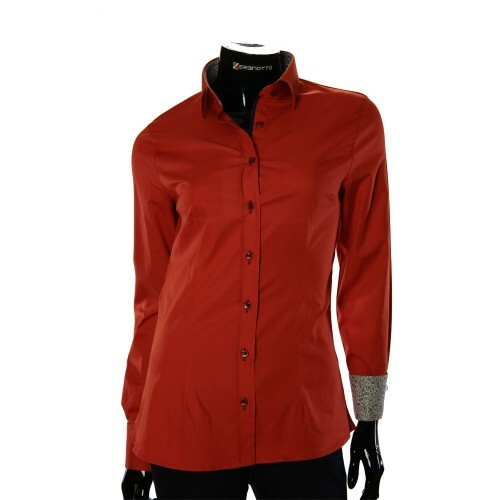 Shirt fabric 100% satin cotton. As a plexus thread, the fabric is dense and prevents the possibility of translucent. Also, natural satin fabric is very pleasant to the body and does not cause discomfort when worn. 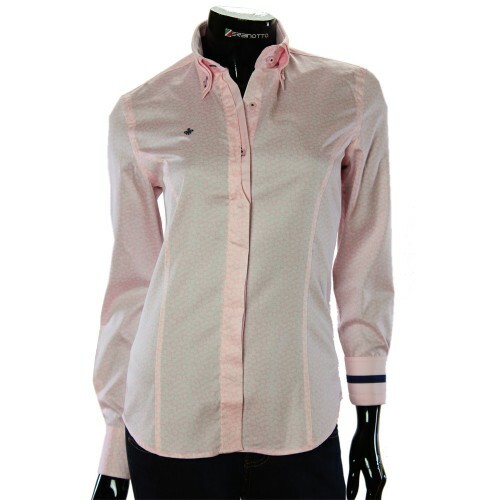 Shirt collar: Shirt collar classic in diagonal execution. 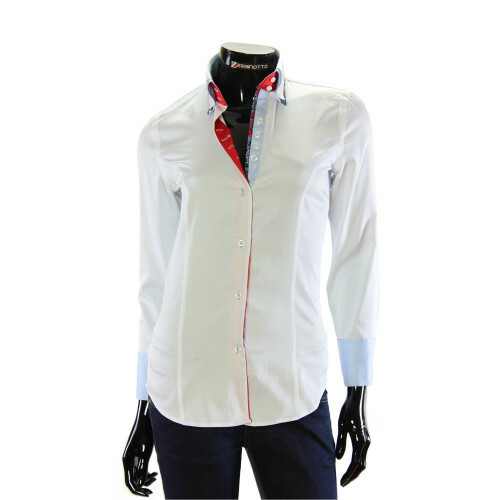 Inside the collar there are sewn bones, which are designed for durability and elasticity of the shirt collar itself, the duration of its wearing and the avoidance of premature wear. 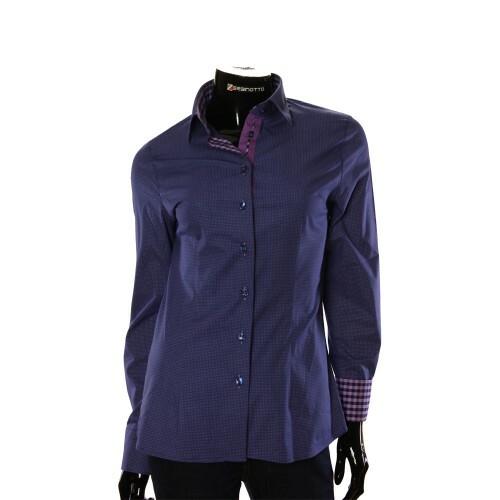 These "shirt collar inserts" are rigid plates, usually made of plastic or metal. They are inserted into a special stitched doorway or pocket on the inside of the shirt collar, betraying the rigidity of the corners of the collar. 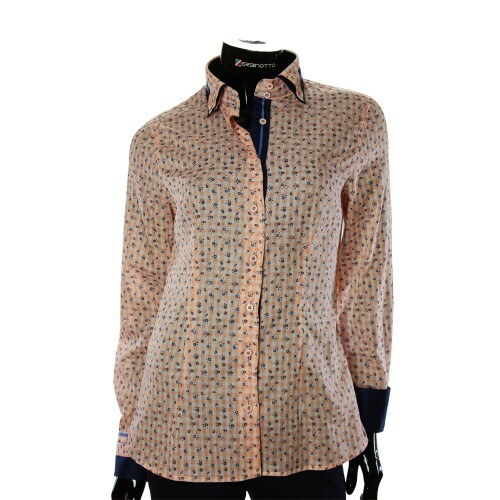 Inside the collar is created in ash-colored fabric in a pattern. On the practical side, this internal execution of the collar allows you to protect it from excessive wear. 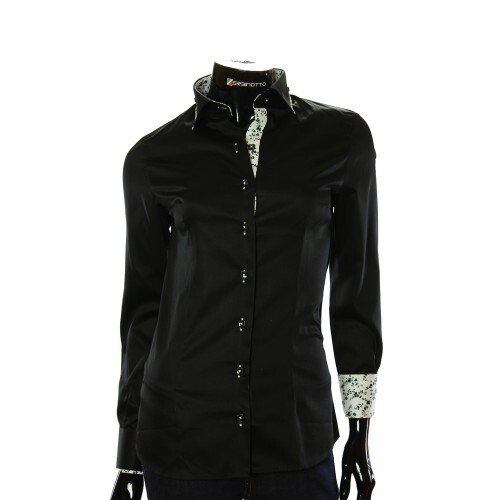 On the designer side, give the collar a shirt of extravagance and versatility. 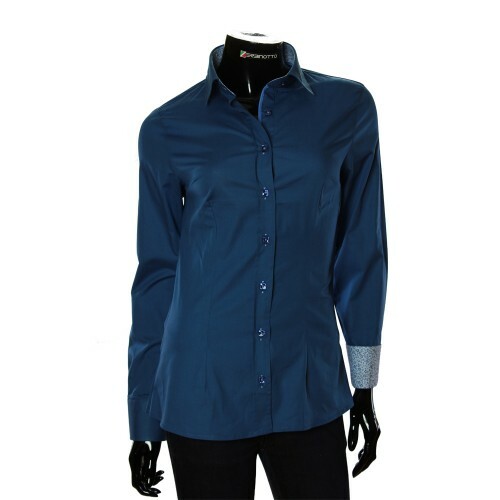 Cuff shirt: Cuff shirt universal. 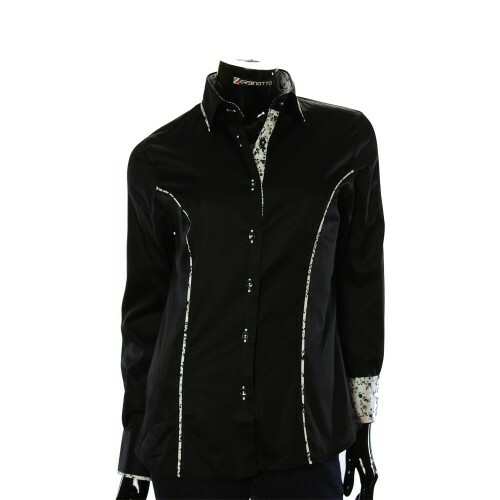 Made with buttoned cufflinks. 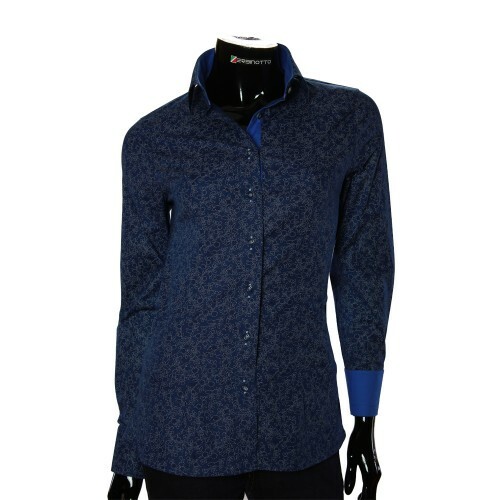 On the outside, they are in the same color as the shirt’s body, and on the inside, in coal gray (ash) color in paisley pattern. 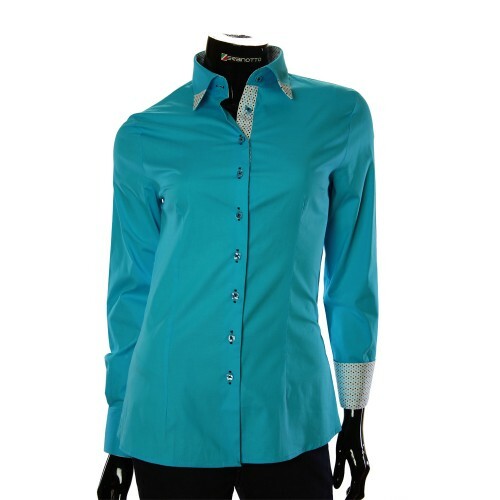 Cuffs can be worn straightened and with a turnout. 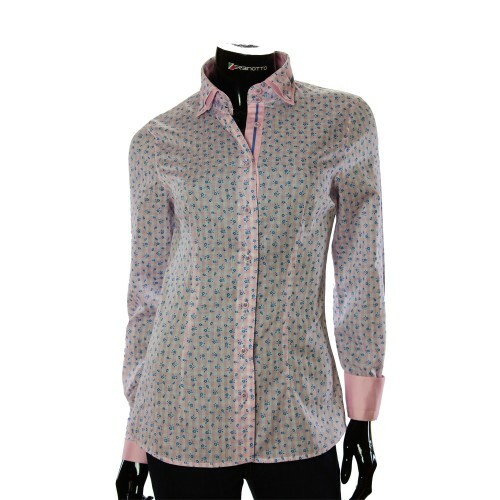 Button strip: Button strip is trimmed on the inside and outside with a gray fabric in a paisley pattern. 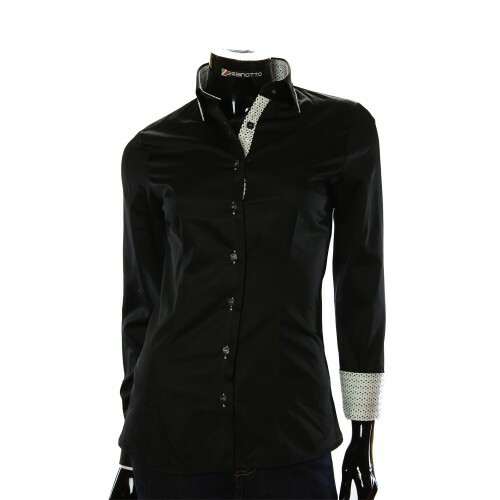 The buttons of the shirt are round in black and sewn with black thread. 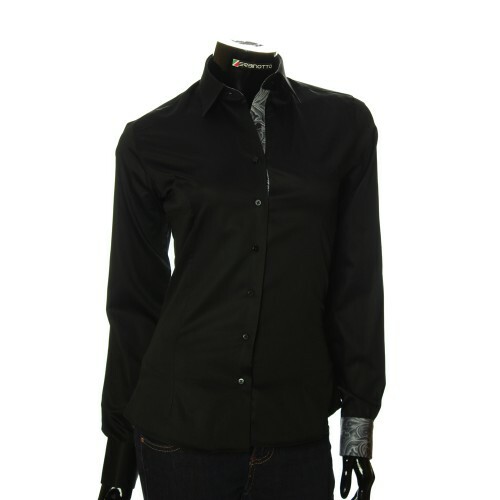 Shirt torso: On the sides the shirt torso is sewn with stitching. 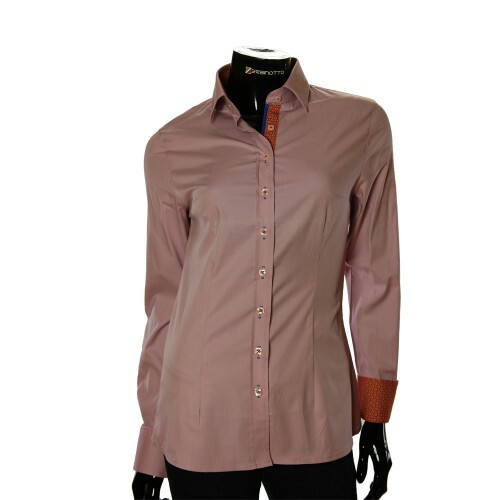 At the bottom of the shirt is made in a semicircle, which allows you to wear it tucked and for release. 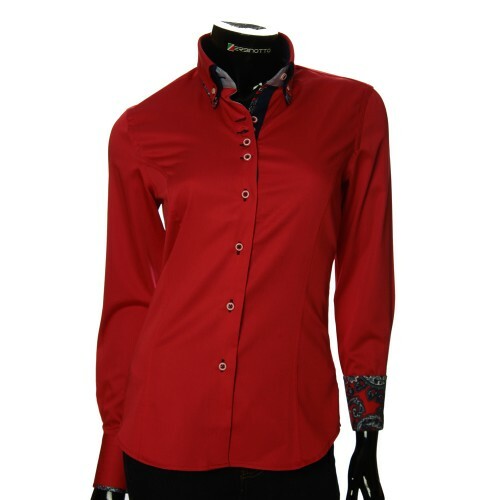 You can buy slim fit women's shirt, and even with cufflink from Izabella collection from Zerbinotto brand, on our official website at zerbinotto.com. 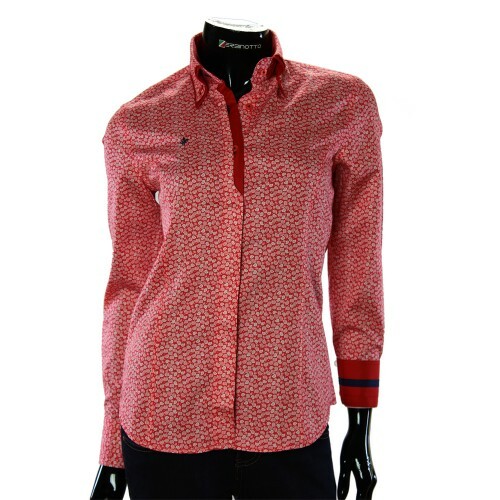 Also check out the table size of this collection of shirts, which is below the description of the goods, to determine your size as accurately as possible. 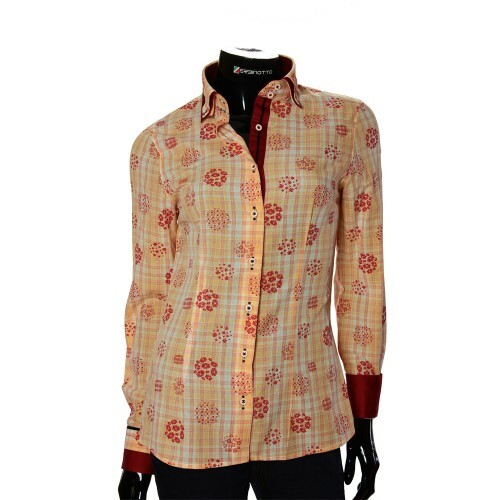 We always have something extraordinary for every lover of women's shirts. We recommend to see other models too! Order women's shirts online casual, evening and elegant. Buy in store Zerbinotto® - the top brand among Italian shirts. * Cufflinks are not included.